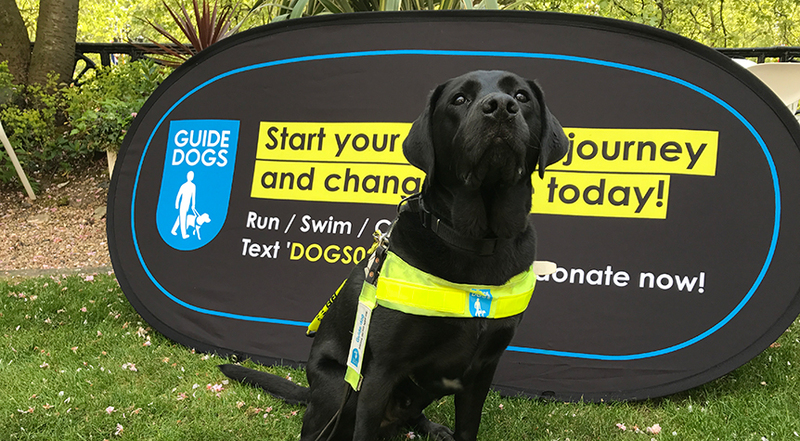 Join #TeamGuideDogs at the 2019 Great North Run! The Great North Run is firmly established as the UK’s most popular half marathon, with runners traveling from far and wide to be part of this fantastic event! The course starts in Newcastle, with the route taking in the Tyne Bridge, passing through Gateshead and then finishing on the northeast coast in South Shields. Here you will be greeted by our team to enjoy a post-race reception complete with refreshments and sports massage. Thank you for your interest in running the Great North Run for Guide Dogs! Every hour, another person in the UK goes blind - we work for a world with enough support to make the challenges of sight loss no barrier to fulfilling hopes and dreams. If you have already secured your own space we would love you to join our team – simply click the 'Register Now' button on this page and sign up as 'own place' to enjoy all the same benefits! Questions? Please don't hesitate to get in touch if you have any questions - you can call us on 0345 143 0200 (Monday - Friday, 9am to 5pm) or email events@guidedogs.org.uk. © The Guide Dogs for the Blind Association 2019.